I am again here with an amazing Google Adsense tutorial. I will teach you in this post to Track Adsense Earnings of every single post differently. 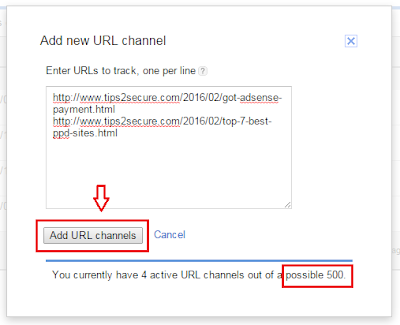 Means, you can track Adsense earnings coming from a single post. There is not any trick to do this. 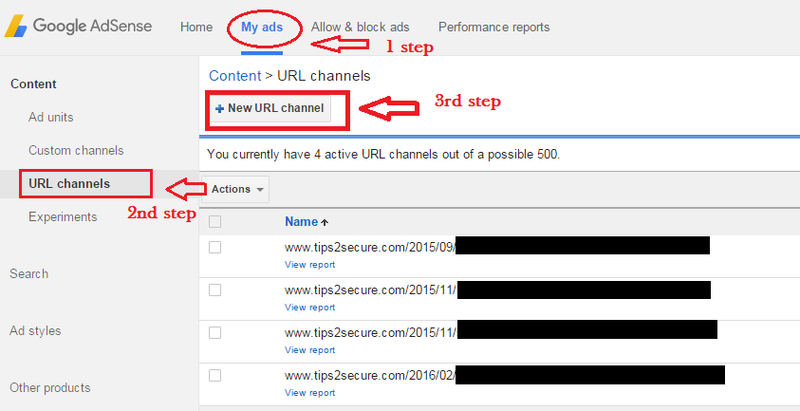 There is already an option in Google Adsense account to track your earnings of each page and posts differently. Why to track the earnings of each post differently? If you want to increase the Adsense revenues then you should read this post carefully. This post will help you a lot in doubling your Adsense Income. Tracking of a single post will let you know about the performance of that particular post so that you can do experiments on that post to increase your CTR and CPC both. You can experiment by changing Ad unit sizes, type of Ads, placement of Adsense ads etc. If you want to know and do experiments deeply then I have already written a post for you. Here is the post on Adsense Experiments (A/B Testing) Guide to Increase Publisher's Revenue. Navigate to 'My Ads' section. Select 'URL Channels' from the left-hand side as shown in below image. Click on 'Create new URL channel'. Add the list of URL's of your posts that you want to track. 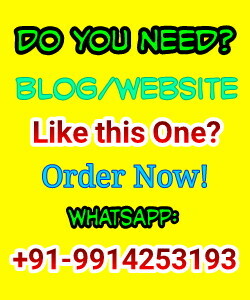 You can track only maximum of 500 URLS, To track more, you will have to delete the previous URL's. Now click on 'Add URL channels' buttons. 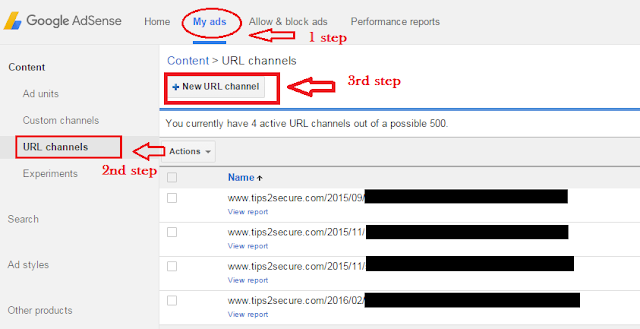 How to Check my Adsense Earnings from that posts? 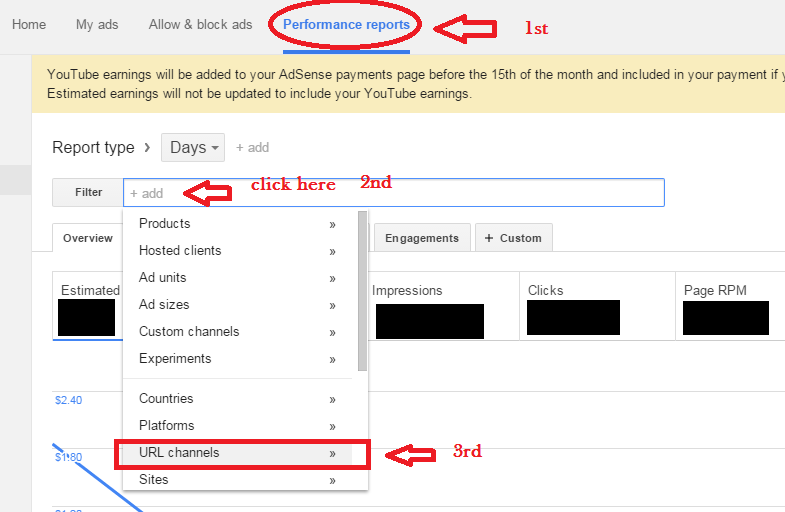 Follow these further simple steps to check and monitor your Google Adsense earnings. Now, navigate to 'Performance Reports' option. Click on Filter '+ add', then select 'URL channels' as same as shown in below screenshot. Selected your desired URLs and click on Apply. You have done with whole process. Now it will show you the details of your earnings from a sngle post. You can easily track the impressions, clicks, CPC and CTR all of the single post. Now you can easily use this data in your new strategies, experiments and decisions. Adsense does not pay only for CPC or clicks they also have some CPM campaigns, means Adsense also pays for delivering impressions. You can track that too using 'Views' and 'Engagement' options as shown in below screenshot. Nothing a lot to say at last. I just say if you are working as an Adsense publishers then you must try this tutorial. Also, you can share and give link to the URL of this post on your blogs to share it with your readers. Also, don't forget to share your experiences here in the comment box. I will wait for your comments. Message: I hope that you have enjoyed 'How to Track Adsense Earnings Of a Single Post!' article. However, if you want me to deliver more items, then please share my post. You can use Social Sharing Widget provided at the end of every post. After all, Sharing is Caring! Yes, sure. I always share useful information with my readers. I was exactly looking for this info and found it here, Very useful info. Thanks for sharing.